I forget how much dance and performance can really move me…bring me to the edge of my emotional reality and question my day-to-day…harking back to my ballet days. I forget how much I look for meaning in nearly everything in my everyday life, from encounters and happenings, to visual details and semantic, wordic arrangements. What I call “serendipitous synchronicity” in wordgirl’s life…what I often let lead my life and help me to resolve inner unrest. I’m sure many other people do this, but I’m pretty renowned for always thinking in this way. 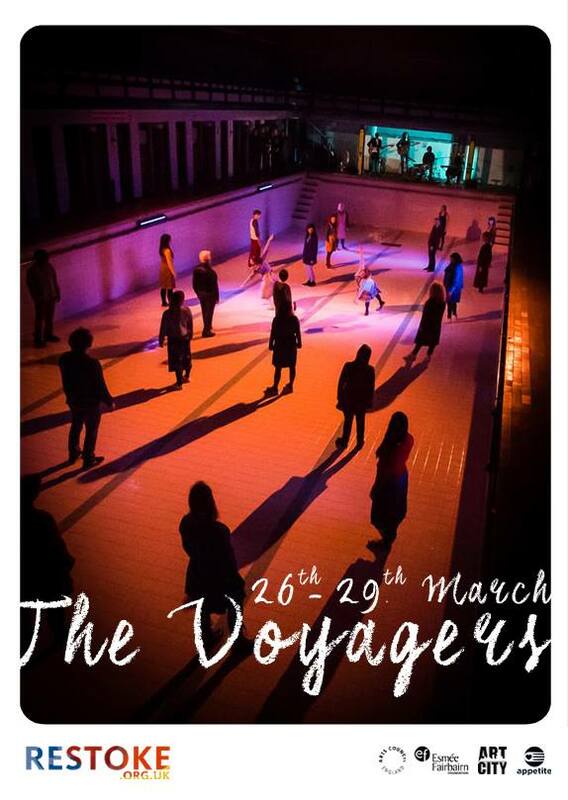 On Sunday night, manaXi and I went to see the performance event Restoke presents ‘The Voyagers’ set in the derelict and redundant Victorian Tunstall Baths in Stoke-on-Trent…a place that took me back to my formative teenage years as I had a school friend who lived in Tunstall. Stoke-on-Trent has a (strange) place in my heart as again it has links to my teenage years, and to my early twenties (mostly because of a past long-term tempestuous relationship), where I have always tried to support the development of contemporary arts scene there, no matter which corner of the world I’m in. 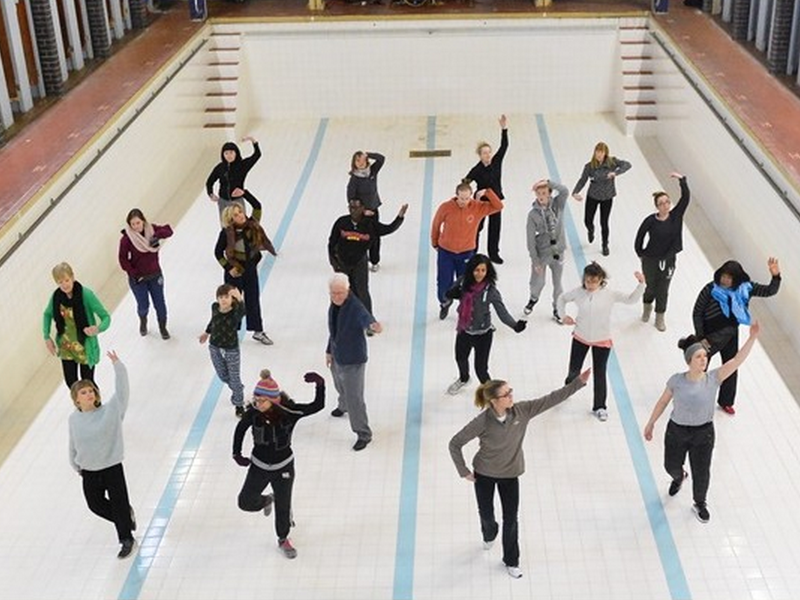 Recently, there has been a pretty good remit for it, largely funded through the Appetite project (with support from Arts Council England and The Esmee Fairbairn Foundation) such as 2013’s ‘As the world tipped’ that I wrote about on my blog. 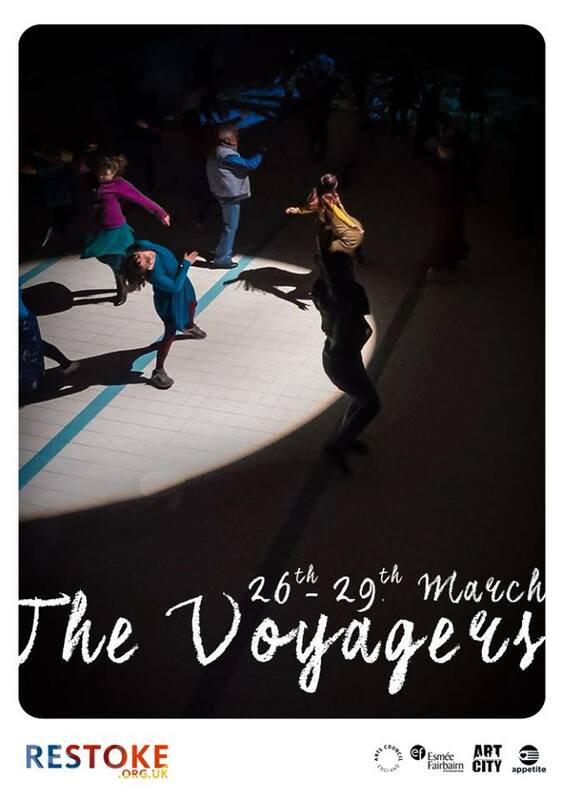 Restoke presents ‘The Voyagers’ asks “what would you say to your younger self?” by telling real life stories from the people of Stoke-on-Trent, retold through a fluid blend of in part theatre, dance, performance, narrative and replayed recordings of oral histories, live music and choral soundtrack, an unexpected light show and projected animations. 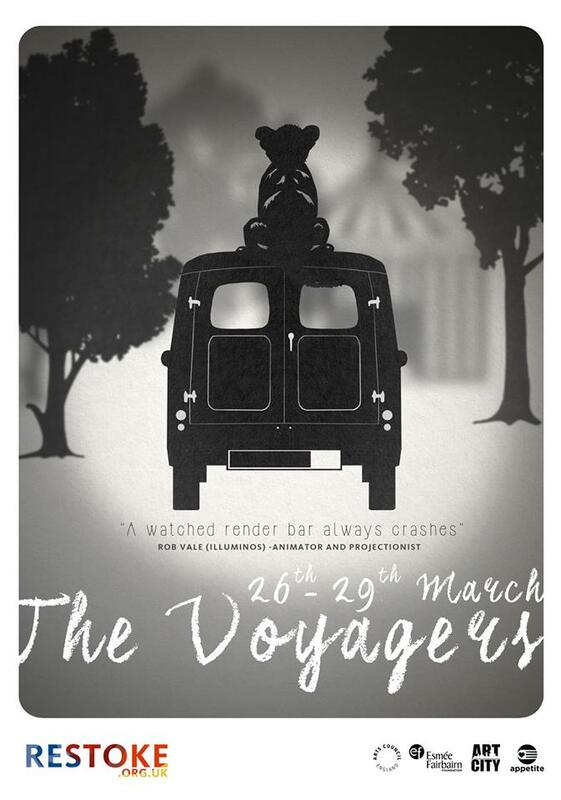 ‘The Voyagers’ takes a multi-sensorial journey through short, back-to-back tales of resilience, perseverance, spiritualism, love, loss, regret and Ricky the lion…the journey of life, the self-referential personal voyage, each chapter of life’s happiness and heartache, moments to remember, moments you wished you could forget, the questions and “unresolvables”, and those lessons learned. It was performed by a cross-generational and culturally-diverse cast, 40 in total, aged between 10 to 75…who all had relationships either with or to each other – loved ones of husbands and wives, father and daughter, mother and daughter, mother and son and best friends and sisters – or with Restoke as a production company, either for years or just for ‘The Voyagers’, reflecting on the importance of relationships in the research process, final performance, and also as part of life. Living life. Coping with life. Creating life. Rationalising life. Decoding life. Being at peace with life. 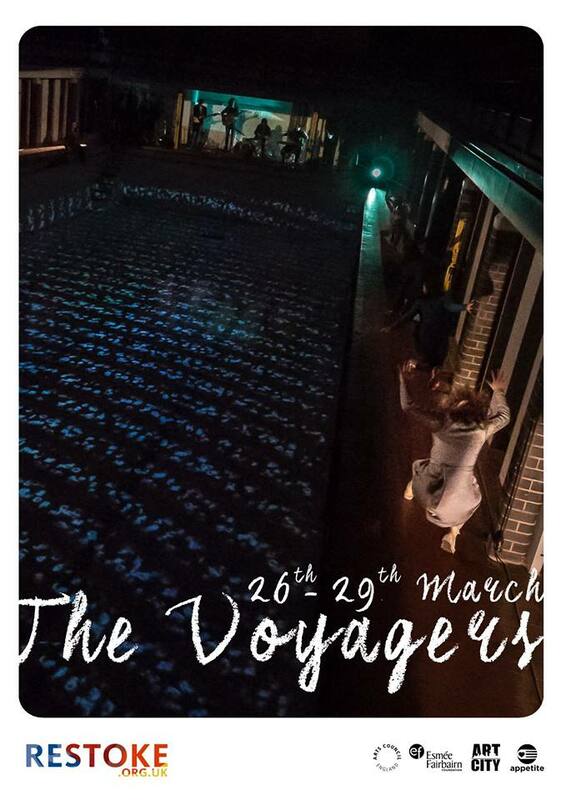 ‘The Voyagers’ took manaXi and I on a personal adventure…leaving us amazed, silenced, teary eyed, self-referential, future fighting, entertained, happy, breathless, lost in thought, lost in each other, and well, feeling “human”. 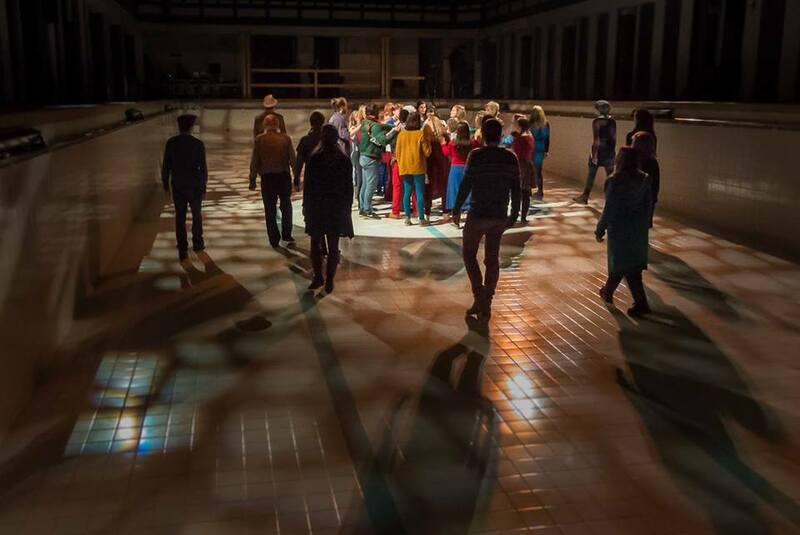 manaXi could see some obvious (Bertolt) Brecht-ian references its theatrical presentation…such as putting theatre in the round, “speaking” to the audience and making the real into theatre, creating a line of performative differentiation. The distinct architectural setting drove the concept of remembrance and looking back as you thought of how the building was used, when it closed, how long ti was open for…bringing with it stories of old, storied of new, a hope for the future. 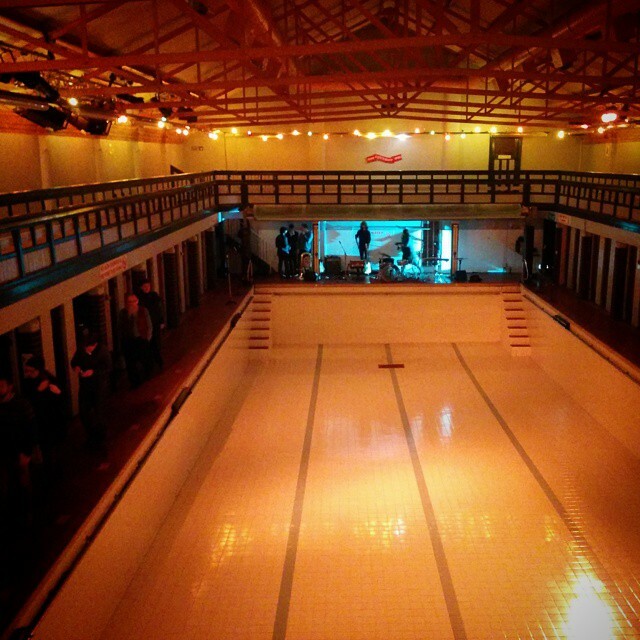 They completely maximised Tunstall Baths’ unique interior and spatial potential using every corner, balcony (for audience viewing), changing room, stairwell, standing room and more, and also using the vast space of the swimming pool floor as a screen through projecting visuals and animations onto it’s tiles…a light show narrative including an alphabet soup, letters creating the ripple and wave of water…and my favourite, which had me smiling, blue penned handwriting playing out across the lines of the tiles as if a ruled line on a piece of paper. The fluency of the performance…fluency of narrative from one to the next emphasised the fight for life, for understanding, for happiness…the fight to find meaning in life and significance…to understand why we are here, for what reason…something I do every day. So what would I say to my younger self? Not much…more generalisations that I think most people would say to their younger self…to never try to predict a thing, or want life to be a particular way…to take life as it happens…to trust your instinct (and sometimes what your parents think as they’re often right)…to realise that the unexpected things in life (such as the revelations of Amoy tiger tummy) happen for a reason to take you to other things and to other people who change your life…to be at peace with who you are in order to let you give and love more. I’ve never lived with regrets as they get you nowhere…and because there’s always been so much change in my life. If you did have the opportunity to talk to your younger self…it would surely change your current existence…and I might not be writing these words to you readers here.